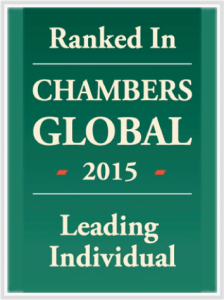 2015: Chambers Global lists Dr. Hans-Peter Jönsson as “Leading Individual”. 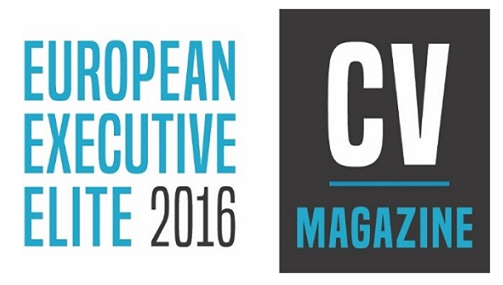 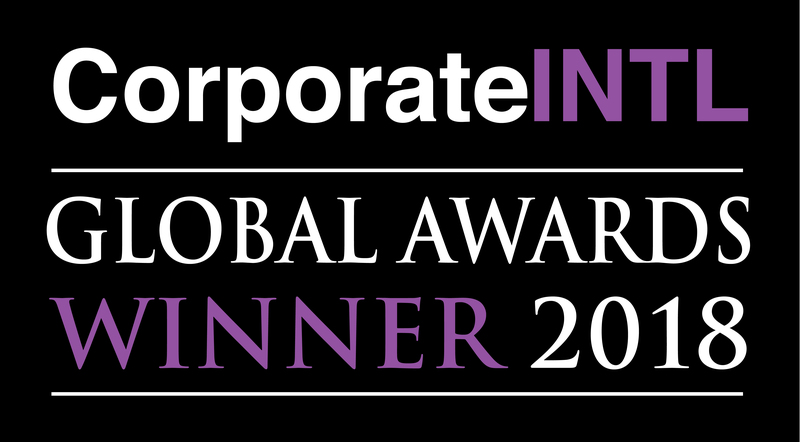 2015: dompatent is honoured as “IP Prosecution Law Firm of the Year in Germany 2015” by Corporate INTL magazine. 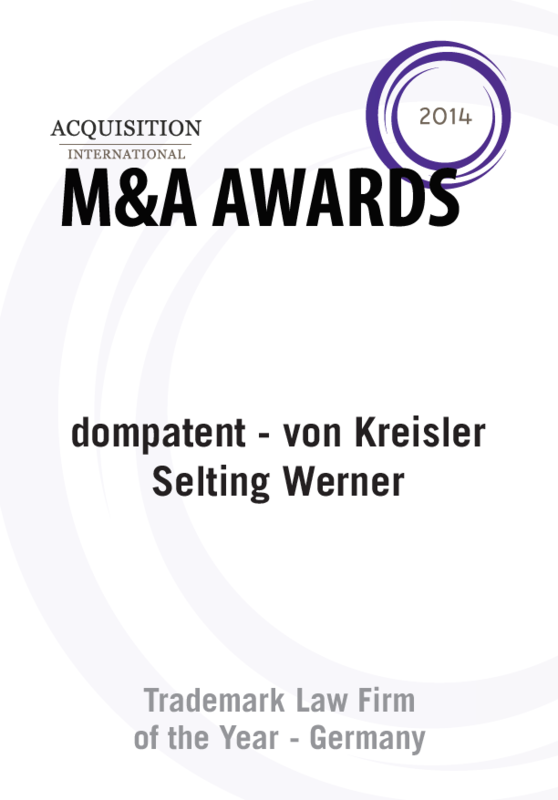 2014: von Kreisler Selting Werner is honoured as „Pharmaceutical Patent Law Firm of the Year – Germany“ by Acquisition International magazine. 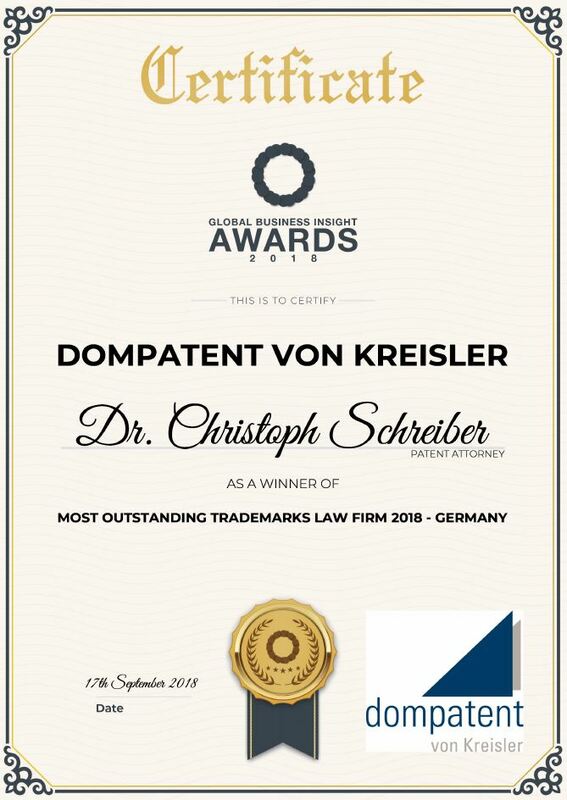 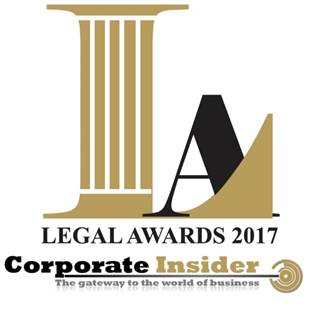 2014: dompatent – von Kreisler Selting Werner is honoured as „Trademark Law Firm of the Year – Germany“ by Acquisition International magazine. 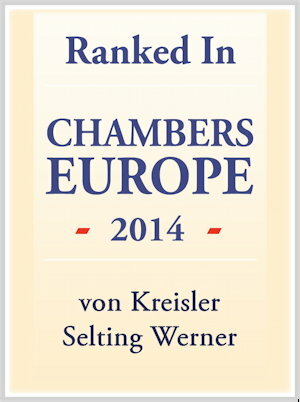 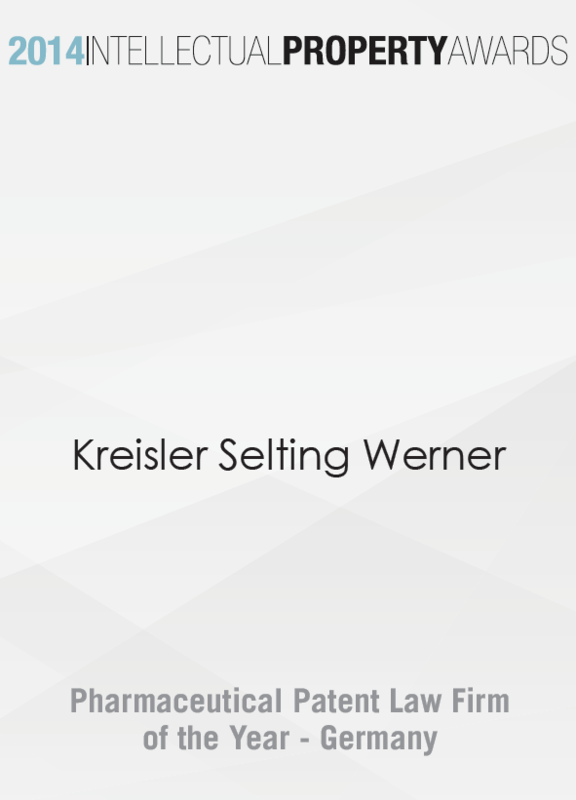 2014: von Kreisler Selting Werner is listed by Chambers and Partners in their Intellectual Property ranking. 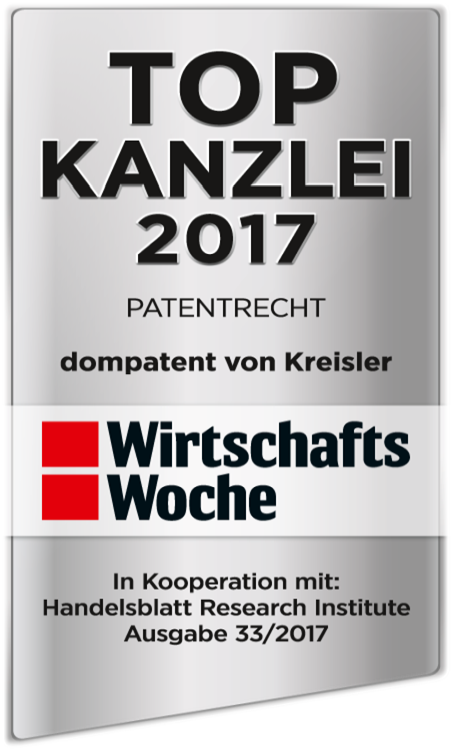 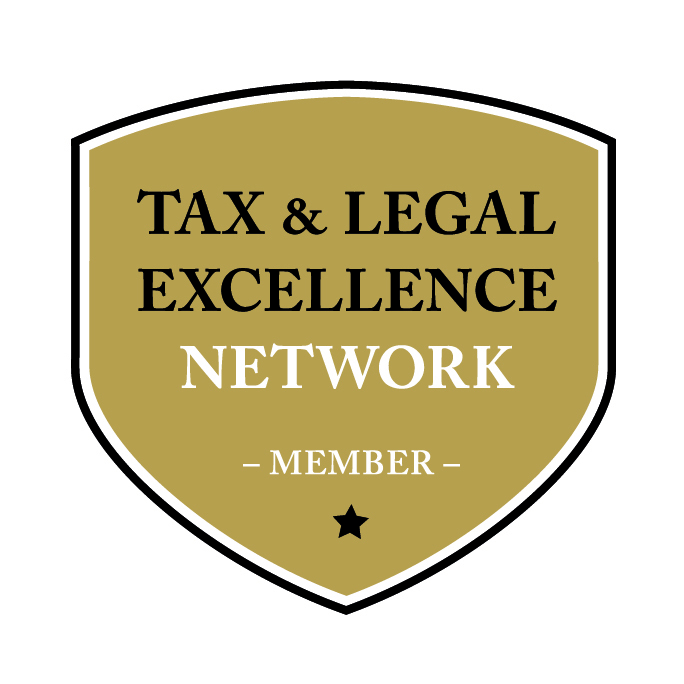 2014: Dr. Hans-Peter Jönsson is listed in the category Intellectual Property/Patent Prosecution by Chambers and Partners.